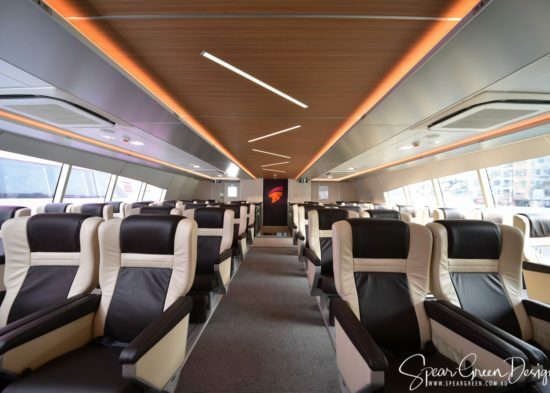 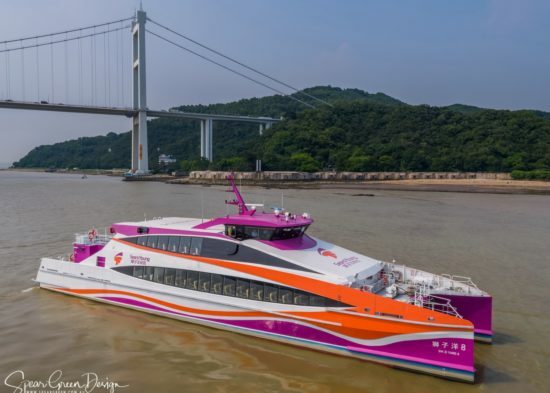 Another High Speed fast ferry with SGD designed, specified and documented marine interiors and exteriors has been launched in China. 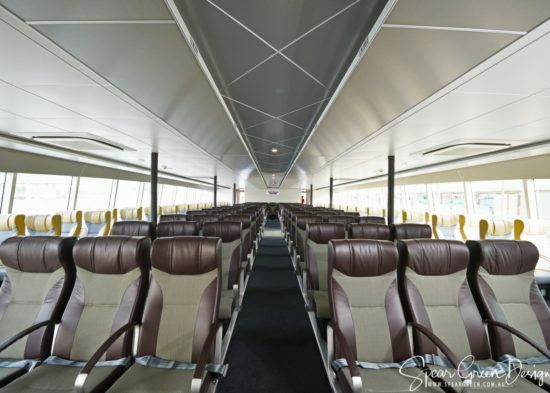 Shi Zi Yang 8 is a repeat project for an existing client. 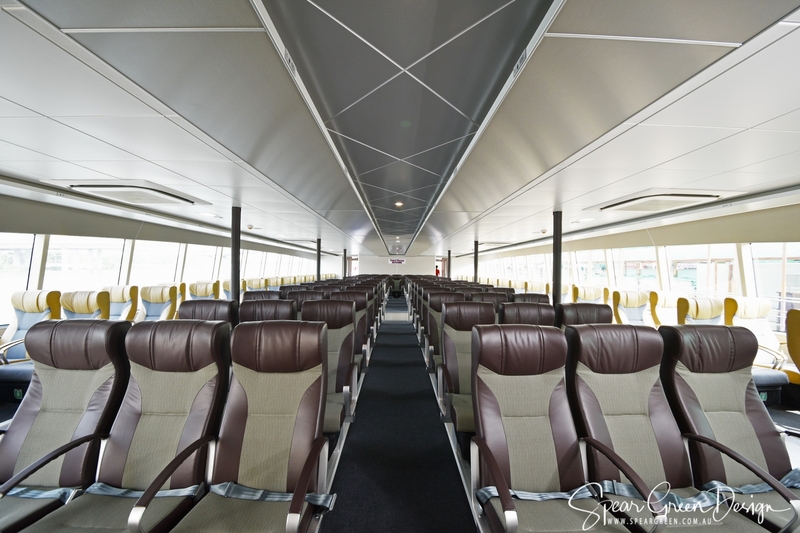 This vessel is 42m LOA x 9m Beam, has a capacity of 199 passengers and travels at over 30 knots. 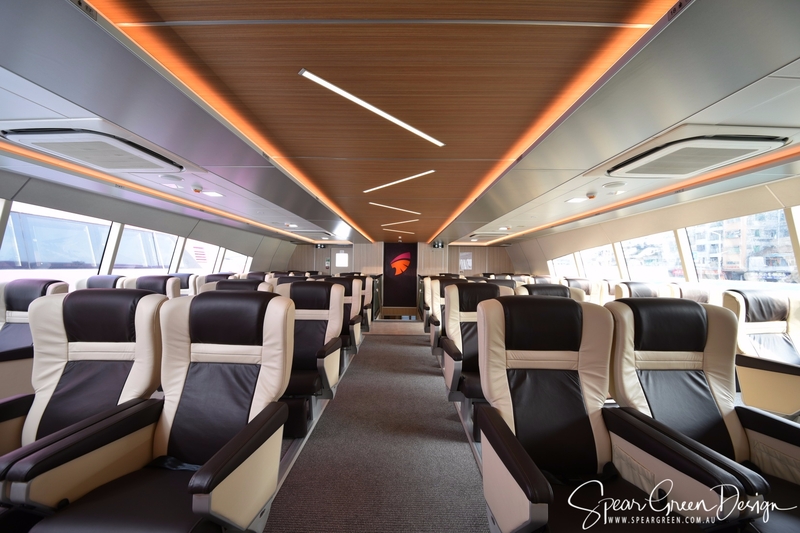 With a new take on interiors to join their rapidly growing fleet, this is an exciting new vessel which has been extremely well received by the vessels’ owners. 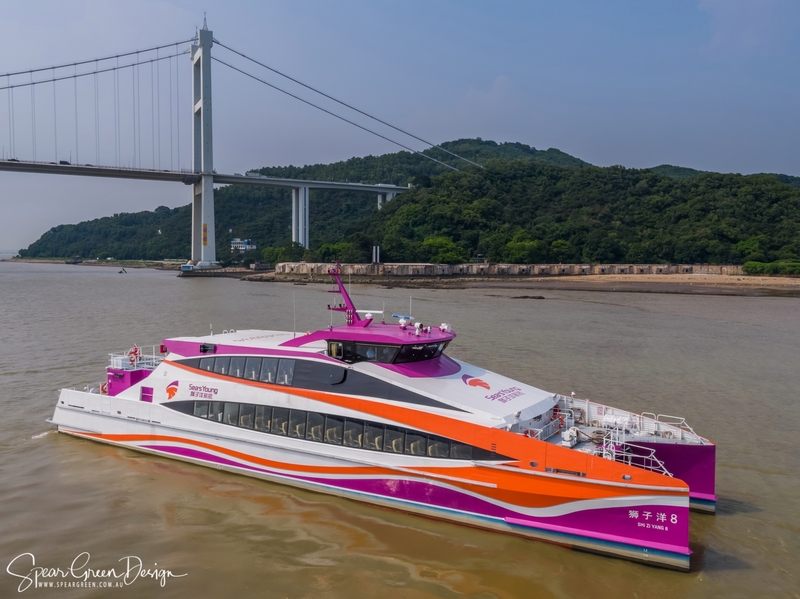 This vessel now joins the fleet of fast ferries which service Hong Kong international airport and Dongguan in the Pearl River Delta region of China.